Now whisk the hung curd and powdered sugar first then add puree,soaked saffron, elaichi powder and whisk again till everything mixed well. The Shrikhand is ready. 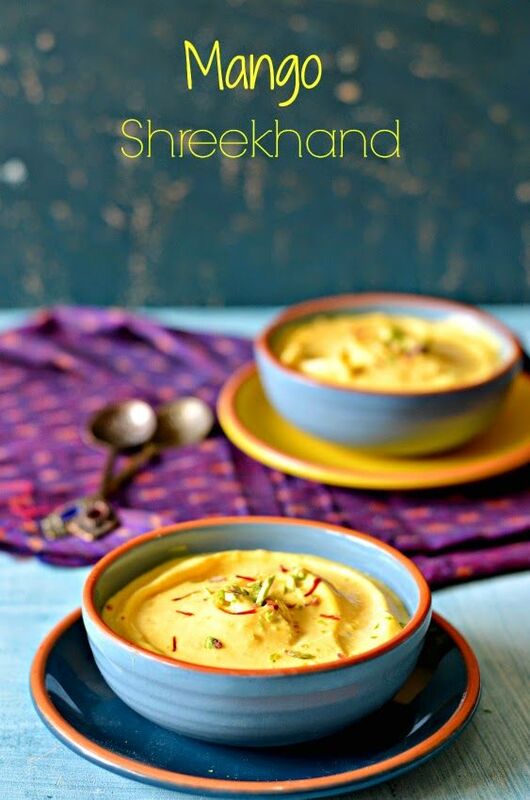 You may add a few fresh mango pieces on shrikhand before serving to make it more delicious!!! Here’s an interesting link on Why do we celebrate Guidi padwa ?